Flower arrangement with glass is a glass jar made of transparent glass which houses red wicker flowers arranged in floral pattern. The glass jar itself is 17.5 cm in width, 17.5 cm in depth and 18 cm in height. The weight is not much can be easily moved around the house. Home décor cannot be complete without plants and flowers. While real plants and flowers may look good they also bring the problems of bugs and withering without sunlight and water and have to be constantly trimmed. A floral arrangement offers the same visual stimuli minus the hassles of an actual plant. Your home décor should appeal to the guests and represent the personalities of the people living in the house and what can be better than a planter. Nature is the best way to accentuate your home as it goes along with any and all themes. Any colour wall and background is complemented by floral arrangements. The red colour of the wicker flowers adds passion and fierceness to its surroundings and complements other accessories of the similar colour accent. The glass jar can also be used for a lot of other purposes. 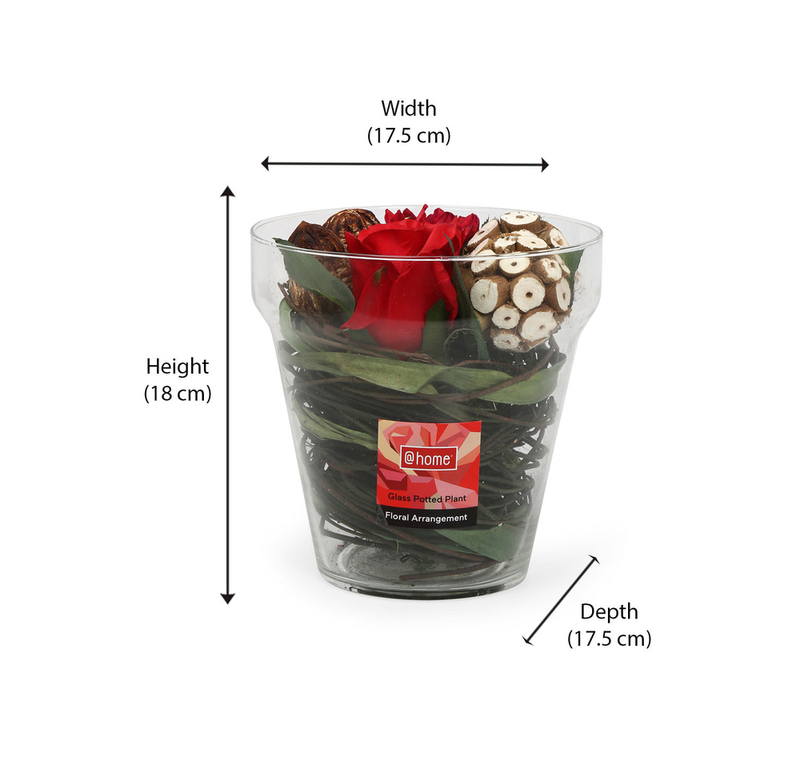 Buy the Flower Arrangement with Glass, Red from @home today.